Creating and editing foreign-language documents is one of the tasks scientists often are engaged with. It is thus convenient, if they may enter their texts also in the original languages and use for that purpose the appropriate characters. 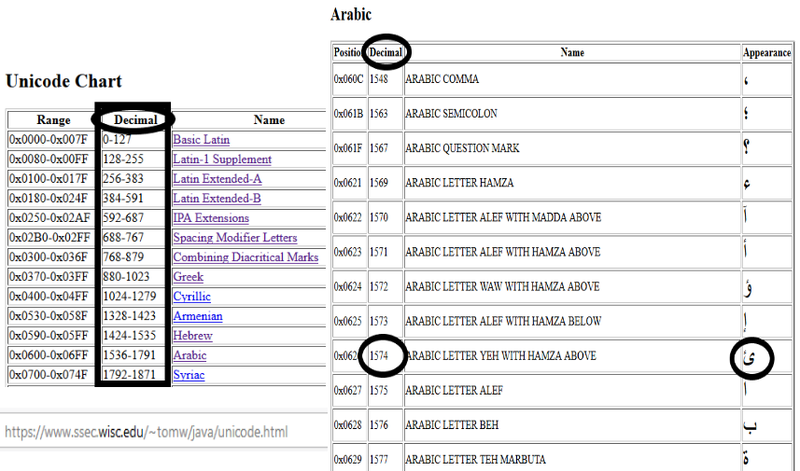 The character codes of the Unicode standard offer the means to do so. But where, for example, do scholars of African studies find the right codes for the characters they would like to use? 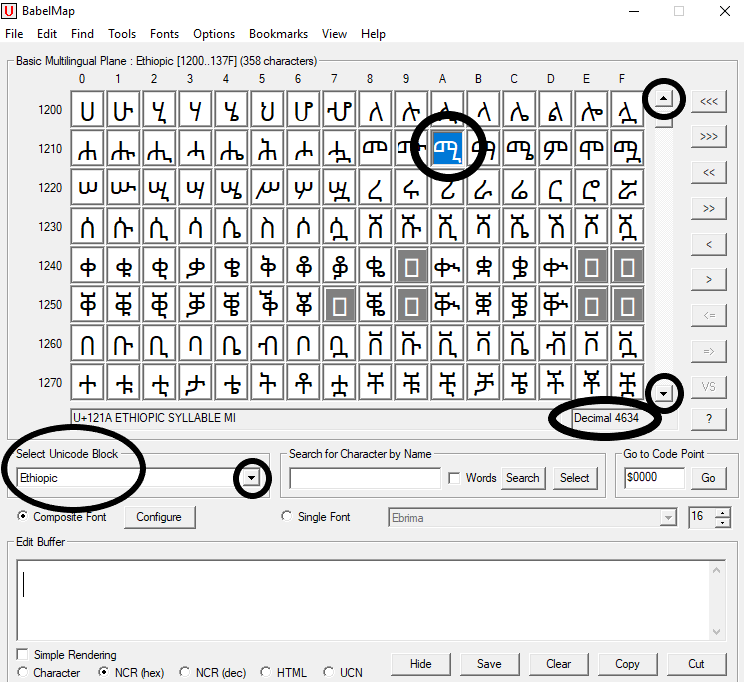 African languages ​​based on the Latin writing system can usually be typed by using characters of one of the Latin character blocks, which in Unicode (except for "Latin Extended Additional", with the decimal codes 7680-7935) almost all found on the anterior decimal positions between 32-879. Unicode (decimal), ssec.wisc.edu (University of Wisonsin-Madison 2015). CC: AN 2018, BY-NC-SA. Unicode (decimal), unicode-table.com (Sa•design 2017). CC: AN 2018, BY-NC-SA. Unicode (decimal) in BabelMap Version 11.0.0.1, 2018. CC: AN 2018, BY-NC-SA. Alternatively, you may also use the online tool "BabelMap Online (Unicode 11.0)". 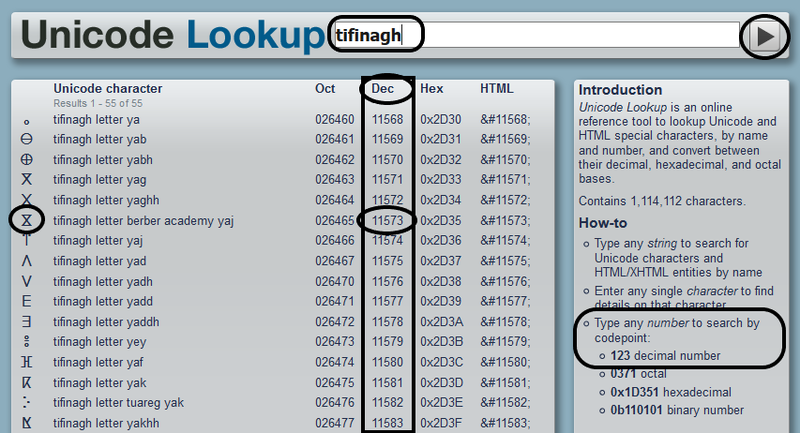 Unicode (decimal) in Unicode Lookup 2009, unicodelookup.com. CC: AN 2018, BY-NC-SA. 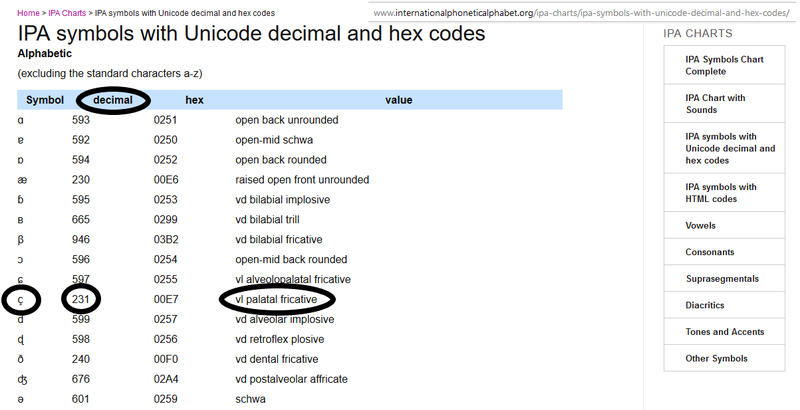 Unicode (decimal) for International Phonetic Alphabet (IPA), InternationalPhoneticAlphabet.org 2017. CC: AN 2018, BY-NC-SA. The decimal codes are entered then into the computer via the so-called "Windows Alt Codes" to digitally represent the desired characters.